Iraqi Prime Minister Haider al-Abadi on Friday ordered security forces to grant civilians access to Baghdad’s fortified Green Zone in an apparent bid to stem mounting discontent over poor services and abuse of power. Protected by countless checkpoints and concrete barriers, the 10-square-kilometre (4-square-mile) area on the bank of the Tigris River has become a symbol of the disconnect between Iraq’s leadership and its people – as well as wreaking havoc on traffic in the city of 7 million. It once housed the headquarters of the US occupation and before that one of Saddam Hussein’s republican palaces, and is now the seat of government and of several Western embassies. [The policy changes by PM Abadi] are also likely to raise alarm bells among Western diplomats concerned about security threats to embassies located in the Green Zone. …Western diplomats try to find a new one to open. Western nations, like the US, UK, France, Germany, Italy and Spain are banking that a new government of unity would ask them for help to stabilise Libya. A European diplomat told me they envisioned establishing a “safety zone” in the capital that would protect foreign diplomatic missions using a foreign force. Pretty sure that’s how that saying goes. Tunisia Attacks: Britain to Blame or Homegrown Threats? The following analysis was originally published at The Globalist. After the recent callous murder of 30 British tourists in the holiday resort of Sousse in Tunisia and the earlier attack on the Bardo Museum in Tunis, some in the Tunisian security establishment are propelling a new narrative in friendly media (with assistance from willing critics in France and beyond). According to this new chain of responsibility, it has become much harder in Tunisia to protect the country – and tourists – against the infiltration of terrorists from Libya (partially true — training for both attacks happened there), and that this makes whatever happens ultimately the UK’s fault (not true). The implication is that the UK and other overly hasty, zealous and/or optimistic Western supporters of the 2011 intervention in Libya now share some responsibility for that country’s plentiful troubles — and by extension Tunisia’s security problems and the deaths of their own citizens. This alternative explanation is perhaps offered out of frustration with Britain pulling back lucrative tourism relationships or eagerness to escape responsibility at home. It sounds plausible, even gripping, at first glance. To be sure, Libya’s territory is now essentially lawless, with terrorists roaming freely and a three-way civil war. And Tunisia shares a long land border with Libya. Terrorists do indeed slip rather unimpeded across it into Tunisia. But does that mean that countries such as the UK bear responsibility for the current struggles of neighboring Tunisia? That interpretation is not only a bit too convenient for Tunisia, but it also actually inverts some crucial timelines. In terms of chronological cause-and-effect, some 1,000 Tunisian terrorists may be more responsible for Libyan instability than the other way around. Certainly, Libya’s violent chaos does not make Tunisia more stable, but Tunisia is fundamentally grappling with a homegrown challenge. In essence, it is the echo effect of long decades of oppression under former ruler Ben-Ali that now leads to all sorts of contortions. The Arab Spring originated in Tunisia in December 2010. Tunisia is also where the movement for change remains most intact – and where democratic power sharing has tentatively been mastered. However, life could not be changed overnight. Mass unemployment, particularly among educated youth, remains a huge problem. The police, whose abuses sparked the initial uprising, remain an omnipresent antagonist. The state is flailing on how to guarantee free speech while stopping terrorist recruitment that capitalizes on these frustrations. But such aggravations are not new and the recruitment is not new, nor is the Libyan war to blame. Here is the upshot: A few Tunisian towns (PDF download) were contributing an astonishing number of jihadist fighters worldwide (in places like Iraq) before the Arab Spring occurred, let alone the NATO intervention in Libya – or the start of the jihad-magnet war in Syria for that matter. After that, the floodgates opened and Tunisia reportedly became the absolute largest contributor of foreign fighters. 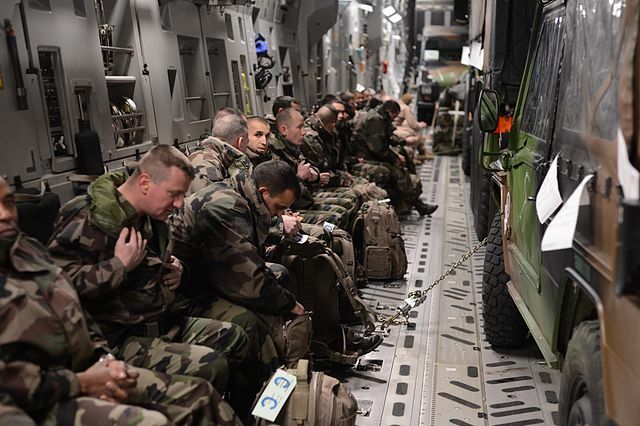 Thousands of these experienced Tunisian fighters – since 2010 some 3,000 are believed to have “served” in Syria and Iraq, more than from anywhere else – are merely starting to “rotate” back home now. 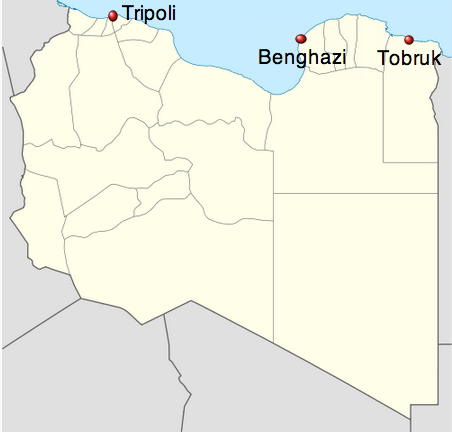 Tunisia already had loose borders with Libya, which makes it easy to get back in. There are also the would-be global jihadists who are turning inward on Tunisian targets because the government has succeeded in making it (somewhat) harder to reach foreign battlefields like Syria, which is still the primary goal location. Tunisia’s recent terrorist attack that claimed so many British lives is one of the few recent incidents in the Middle East-North Africa region for which the UK bears little direct responsibility. The internal politics of Tunisia – and even the factors for the rise of terrorist recruitment – remain substantially different from the other Arab Spring states. 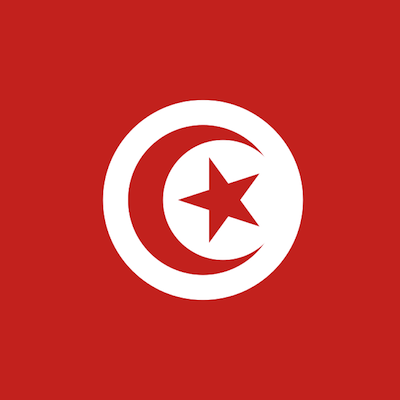 It would be a mistake to lump Tunisia’s challenges in with the rest. An honest assessment will go further toward solving them than misleading blame games. Egypt’s military said it bombed ISIS targets in Libya at dawn on Monday, following the execution of a group of Egyptian Copts by the militant group. On Sunday, ISIS released a video purportedly showing the beheading of 21 Egyptians captured in Libya. President Abdel Fattah al-Sisi called an urgent meeting of Egypt’s top national security body after the video was released. He said his country reserved the right to “punish these murderers” as he called a meeting of security chiefs and declared seven days of mourning after the video was distributed by militants on social media. Most if not all of the airstrikes reported so far by people on the ground occurred in Derna. As Arsenal For Democracy explored in depth in our November 2014 article “Derna: ‘Islamic State’ proclaims 2nd ‘province’ in Libya”, the city of Derna was the beachhead for returning Libyan veteran fighters of the successful ISIS campaigns into Iraq in 2013 and 2014, and it has become the headquarters of the major ISIS affiliate in Libya. Since that post, however, at least two additional “ISIS provinces” have been proclaimed in the country’s historic three provinces. The group has staged attacks in Tripoli and elsewhere, but the execution of 21 Egyptian Copts at Sirte was the most brazen episode yet. 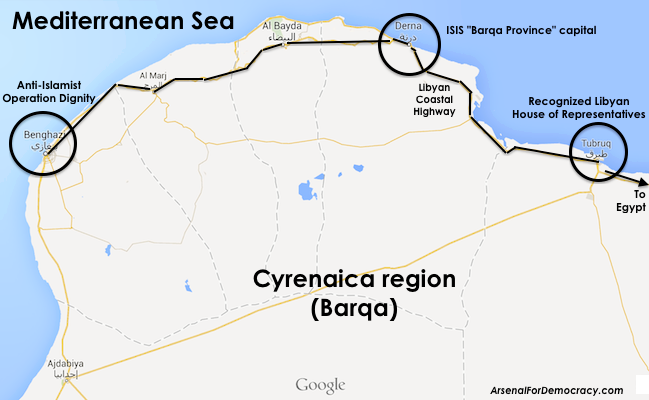 Road map showing ISIS-Libya positions (in Derna) relative to Tobruk and Benghazi within the greater Cyrenaica (Barqa) region of eastern Libya. The executions may have provided Sisi’s pretext for a long-anticipated full-scale Egyptian military intervention in Libya, following non-admitted more limited/outsourced aerial engagements in Benghazi in October and its non-admitted assistance with the covert United Arab Emirates air operation in Libya in August. This is the first publicly confirmed operation by Egypt in its neighbor. It may also put western Libyan pro-GNC Islamist militias that oppose ISIS in an awkward position. They vowed yesterday to begin operations against ISIS at Sirte, but they also oppose the faction Egypt has aggressively backed. A wider Egyptian intervention would be almost certainly directed at all Islamist groups, not just ISIS, much as Egypt’s internal military operations have been aimed equally at ISIS of Sinai as at the Muslim Brotherhood. Egypt’s Coptic Orthodox church said it was “confident” that those who purportedly beheaded a group of Egyptian Copts in Libya will be punished. “The Orthodox church … is confident its homeland would not rest until the evil perpetrators get their fair retribution for their wicked crime,” the Coptic church said in a statement on its Facebook page. On another front, in an unusually militaristic statement from the Italians — currently under a center-left government that is grappling with unpopular economic reforms under a very young leader and with a rising Libyan refugee crisis — Libya’s former colonial occupier formally called for an international military coalition against Libya’s jihadists and said it was “ready to lead” such a coalition. That’s probably the last thing Libya needs in the current climate there. Such an intervention would almost assuredly receive a much less warm welcome than the 2011 NATO air campaign in the country against Qaddafi. The vastly more populous and heavily armed country of Yemen, embroiled in civil war, continues to garner substantially less coverage than massive oil producer, low-population Libya.